Uh oh this week has flown by! Work chaos has left me too tired to do much in the evenings so my to do list went out the window. But it hasn’t stopped me adding stash…. 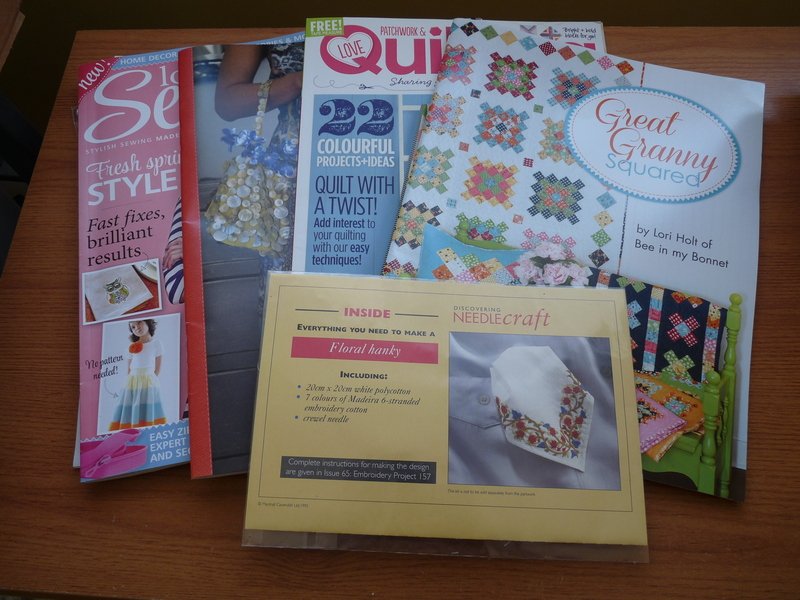 Love Patchwork, Love Sewing, Lori Holt’s Great Granny Squared Book and an embroidery napkin kit from my friend as embroidery I need to learn but not like I need another craft to be addicted to right?! Yay.. some finds from the car boot on Friday lunchtime. But… that blue duvet at the back right keeps screaming at me to be a dress instead of adding to the things to make for little boys. The front left is actually a maternity dress (and not yet before you ask besides it’s a size small 😉 ) love the fabric. 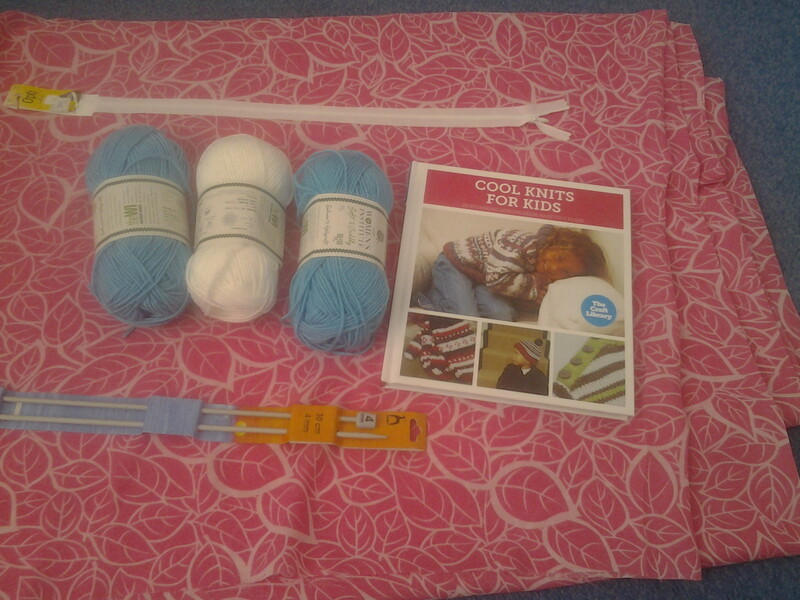 Today’s spoils… some knitting stuff and some fabric from Trago to be my first test summer dress. Really drawn to the By Hand London Flora Dress at the moment although with this I’m going to have to line the whole thing instead of the bodice. Thinking a vintage sheet I picked up last week could do… then once that’s done I can realise my dream of having a polka dot dress (getting fabric tomorrow thank you hobbycraft sale). Oh not made any clothes yet.. so this will be interesting as I just know I’m going to have to do full bust adjustments and the like. Right I best crack on and finish the Collette Ginger Skirt first! One of my dilemmas of the day (let’s be honest since last saturday!) … so annoyed I didn’t spot the brown mark before I sewn it into rows… do I leave and hope for the best or sub it? That is the question. Best crack on I’ve got a birthday present to finish (um the last piece to start) ready to gift for tomorrow. Eek.. nothing like last minute girl yet again. Linking up with Molli Sparkles. Lovely fabric you’ve got there for your dress. 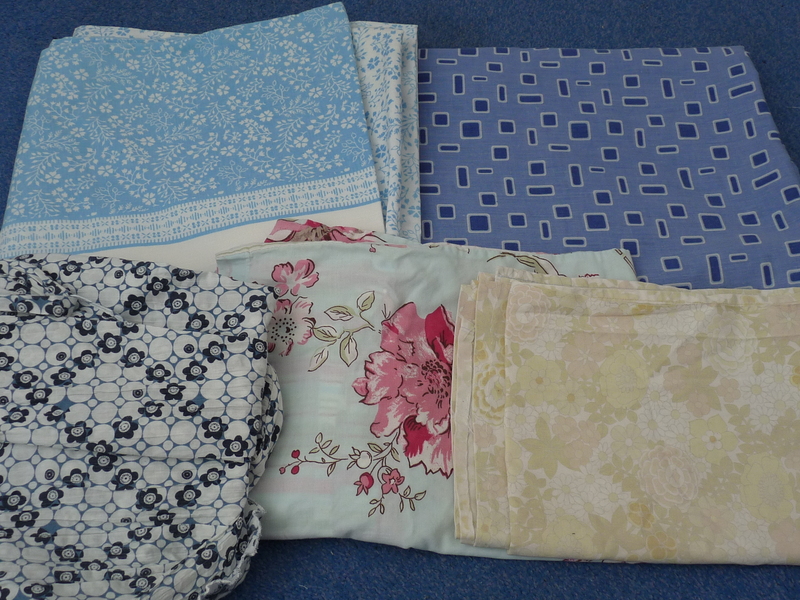 Great haul from the car boot sale too – well done! 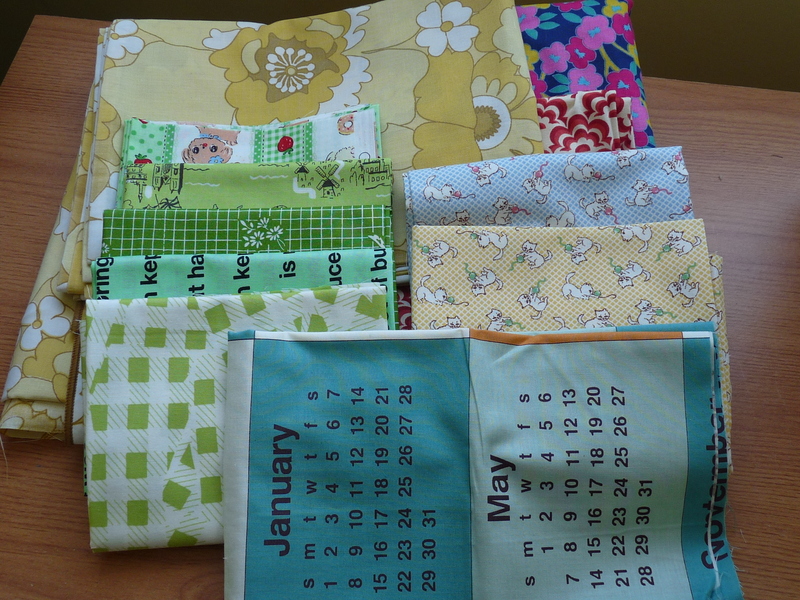 I think you’ll need to change out the marked piece in your patchwork, because it will annoy you too much if you don’t. I like collecting 1930’s reproduction prints. I have been using them for the last 20years in quilts. Thanks for sharing. That dress is in great fabric, nothing wrong with buying something to chop up! Also I think I spy some red Salt Air in the top picture, still love that range.